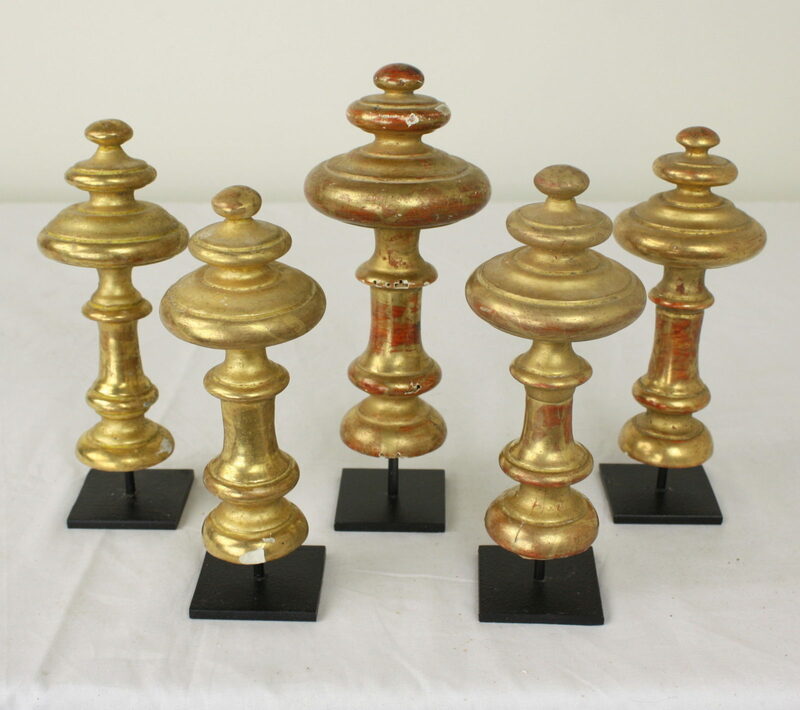 A collection of five gilded French finials, lovely decorations on new graceful hand-made stands. 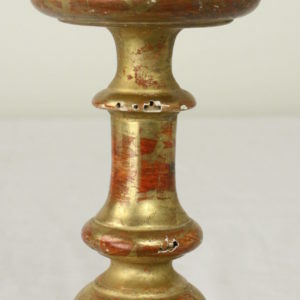 There is some red base show-thru, common on gilded wood. These are architecturally interesting, and shiny and pretty. Very nice on a shelf or bookcase. There is very little damage, just a few chips, as are shown in the photographs. 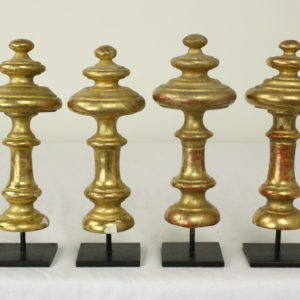 Dimensions below are for the tallest finial. 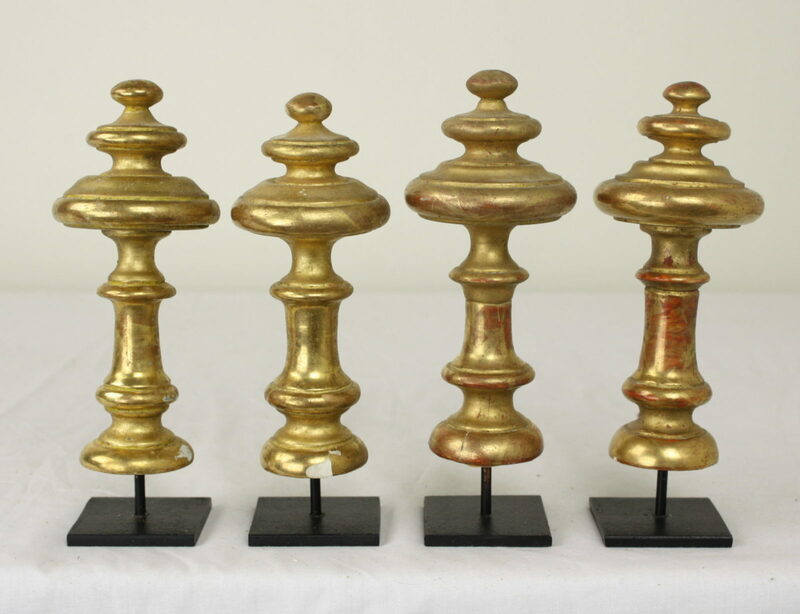 The finials on their stands range in height from 8.5″ to 10″.